PIRELLI PRESENTS TWO INNOVATIONS: COLOURED TYRES AND PIRELLI CONNESSO, THE TYRE-MONITORING SYSTEM THAT OFFERS WARNINGS AND ASSISTANCE VIA AN APP PIRELLI’S COLOURED TYRES, FEATURING SPECIAL MATERIALS AND PROTECTION SYSTEMS DEVELOPED FROM F1, CAN BE PRE-ORDERED NOW IN NORTH AMERICA AND KEY MARKETS IN EUROPE AND THE FAR EAST PIRELLI CONNESSO, AVAILABLE FROM SUMMER 2017, PROVIDES TYRE INFORMATION AS WELL AS SERVICES AND PERSONALISED CONTENT PIRELLI ENHANCES ITS TAILOR-MADE OFFERING: MAXIMUM PERSONALISATION AND DEDICATED SERVICES TO SATISFY THE MOST DEMANDING DRIVERS IN THE PRESTIGE AND PREMIUM SECTORS As was the case with the Cinturato radial tyres of the 1950s and the ultra low profile P Zero of the 1980s, Pirelli ushers in a new era of tyre-making. At the Geneva Motor Show, Pirelli presents two innovations: -Coloured edition P Zero and Winter Sottozero tyres, for which Pirelli’s engineers have developed innovative materials and protection systems to guarantee vivid and durable colours. 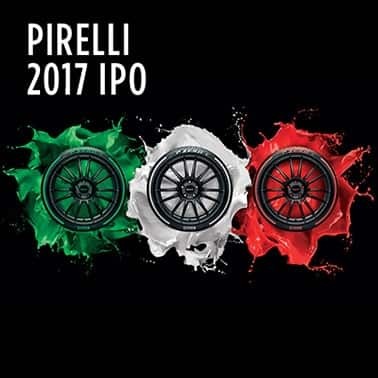 -Pirelli Connesso: a platform integrated into P Zero or Winter Sottozero tyres available to the Replacement market (either plain black or coloured) which communicates with the driver via an app, thanks to a sensor embedded in the internal wall of the tyre. This app supplies vital information on how the tyre is working, as well as offering a series of personalised services. As well as the standard versions of the P Zero and Winter Sottozero, drivers will have a number of different choices available to them when it comes to changing tyres, with the possibility of combining colours and sensors as they desire. These two innovations underline Pirelli’s entry as a leading player in the digital tyre world and form part of the Italian firm’s ‘tailor-made’ strategy. This aims to develop tyres that are made to measure for each motorist: satisfying requirements for personalisation as well as the essential considerations of safety, performance, and fuel consumption. Coloured edition tyres are available to pre-order straight away for the P Zero and Winter Sottozero ranges in the prestige sector, from 19-inch size upwards, before then being extended to premium cars. Pirelli Connesso will initially be available in 19-inch size and bigger on P Zero and Winter Sottozero for prestige cars. The first country where it will be offered will be the United States from summer 2017, where the platform has been developed in conjunction with leading companies from the digital world. 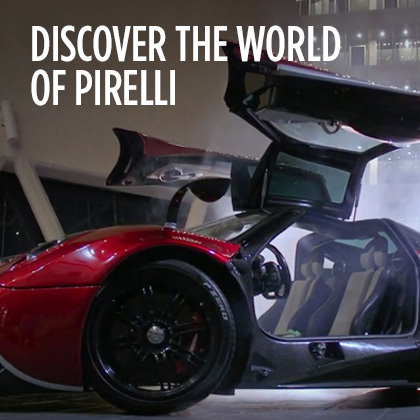 After the USA, Pirelli Connesso will be available in principal markets within Europe and the Far East. The tyre shows its colours. The Pirelli coloured edition was born to satisfy the increasing demand for personalisation from prestige and premium clients. 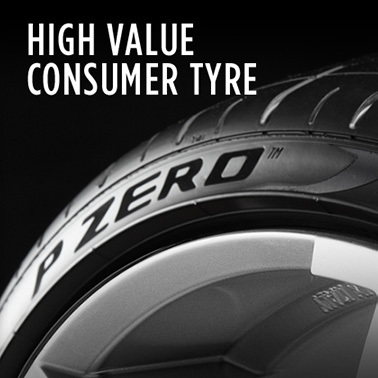 It is presented as a super-speciality in proprietary technology, joining other Pirelli specialities such as PNCS (a noise-cancelling system), Run Flat, and Seal Inside (technology allowing a tyre to repair itself in the event of a puncture). This extra demand for personalisation has been confirmed by Pirelli’s constant monitoring of consumer trends, as well as through market research. The base colours for the coloured edition will be red, yellow, white, and silver: previewed not only on the Pirelli stand but also on some of the most eagerly-anticipated cars at the Geneva Motor Show. As well as the base colours, options are available in every other colour on request. The innovations introduced by Pirelli with the coloured edition of P Zero and Winter Sottozero tyres are two-fold: the variety of colours available, and the stability of the sidewall colours themselves, thanks to Pirelli’s ground-breaking and exclusive technology. Pirelli’s engineers have used the experience gained in Formula 1, where coloured tyres have been a reality since 2011, to refine an innovative labelling system. In particular, a new material has been created that acts as a protective barrier to maintain the brilliance of the colour and avoid fading caused by time and use, without affecting performance. The very first coloured edition P Zero tyres have already made their debuts in the last few months as concepts with Pagani, Lamborghini and McLaren, while from the summer they will be available for brands such as Ferrari, Aston Martin, Porsche and Bentley. The coloured edition will then be expanded to premium models from the world’s top manufacturers. 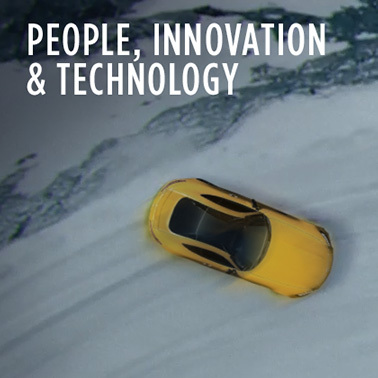 Pirelli Connesso: the tyre becomes intelligent and interactive. What is Pirelli Connesso? It’s a digital platform using a sensor integrated within Pirelli’s high end tyres to expand on the information already available from each car’s on-board computer. 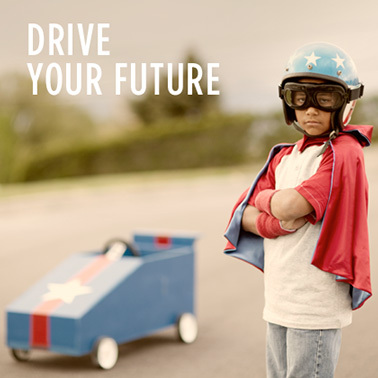 It provides data about the status, use and maintenance of every tyre, also offering localised and personalised services to provide bespoke mobility for the needs of the most demanding drivers. Pirelli’s new system has been conceived as a technical tyre accessory, and is intended to provide a more informed and pleasurable driving experience, optimising performance and reducing fuel consumption with more efficient use of tyres. Pirelli Connesso is formed of a sensor embedded in the tyre connected to the Pirelli Cloud and to a smartphone app, providing an interface that allows drivers to constantly communicate with tyres. This sensor weighs just a few grams and has no effect on the physical performance of the tyre. It continuously measures the status of each tyre and sends the data to a centralised control unit and the Pirelli Cloud, which together form the real brain of the Connesso system. Here the information is processed and then conveyed to the end-user app. 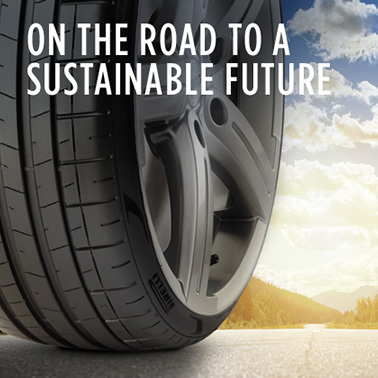 The launch version of the Pirelli Connesso system recognises each tyre’s identification code, monitoring its status from manufacture in the factory to recycling at the end of life. It measures tyre pressure and temperature even when the car is at rest, plus static vertical load, tyre wear, number of kilometres covered for each tyre, and, in a future version, the estimated remaining life in kilometres, as well as acting as a remote pressure gauge when tyres are being inflated, providing a true and accurate reading without having to wait for the tyres to cool down. Furthermore, Pirelli Connesso also alerts the driver when the pressure of one or more tyres drops too low, or when the wear limit is approaching. In both cases, the app identifies the closest tyre dealership and can directly book an appointment to rectify the pressures, or pre-order and change worn tyres, cutting down on waiting time. In particular, compared to other on-board tyre pressure monitoring systems currently used (TPMS), Pirelli Connesso works both when the car is at rest as well as when it is moving. In a future version, Connesso will also be able detect a drop in pressure remotely and immediately make arrangements for any new tyres or maintenance needed, directly in the place where the car is parked. This type of functionality, which allows predictive tyre management, has been developed by Pirelli’s engineers not only to satisfy the requirements of individual users, but also those of fleets and car sharing services. And there’s more. The Pirelli Connesso app is supported by the first mobility platform of its kind to connect tyre makers, consumers and the sales network. Pirelli Connesso is also designed to integrate itself with other smartphone applications (maps, music, restaurants, services) to benefit from even more content and functionality in future. 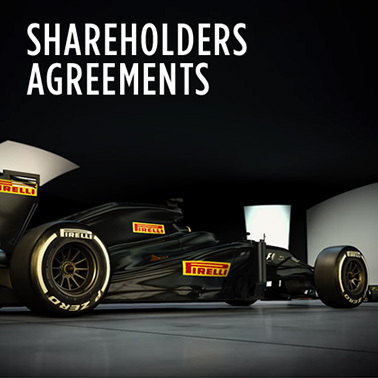 The Connesso app will offer exclusive services such as indicating which motorsport events are taking place nearby, as well as giving the possibility to write reviews of tyre dealerships, in order to share opinions of service received and read the views of other users in the Pirelli Connesso community. Pirelli’s new system is currently focussed on the aftermarket, but there will also be an original equipment solution. In collaboration with some car manufacturers, Pirelli is developing a brand new technical architecture for tyres. As well as enabling all the basic functions, this will add the possibility of automatically controlling the vehicle’s set-up. By reading each tyre’s identification code, the sensor will recognise its characteristics and send that information to the car’s on-board computer, in order to select the car set-up offering the most performance and safety. This new concept, as well as Pirelli Connesso, form part of the wider Cyber Technologies project, which Pirelli launched in 2005 with the aim of achieving maximum integration between driver, car, and tyres. 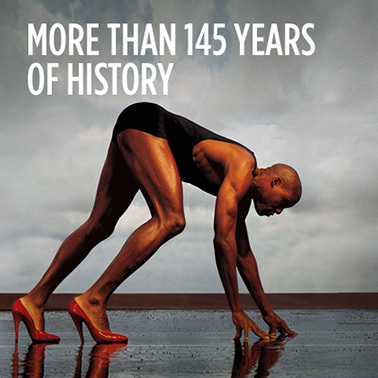 A press release, photographs of the coloured edition, and a Pirelli Connesso infographic are available at the following link: https://connect.pirelli.com/ Username: Pirelli2017 Password: Ginevra2017!